Will We See You In Happy Valley? 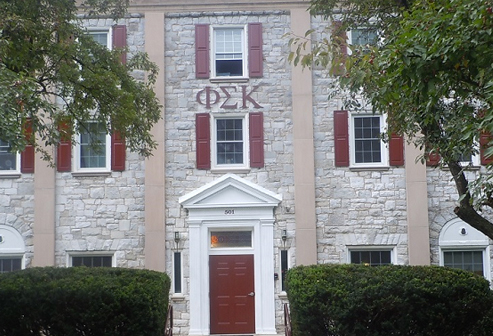 Looking to get back together with your brothers from Phi Sigma Kappa? Here are some upcoming events that you definitely want to check out..
Plan to join the Actives and Alumni in celebrating Phi Sigma Kappa's Founder's Day Event on Saturday, March 21, 2015. Alumni of the Year and Active of the Year Awards will be presented and excellent refreshments and dinner will be provided. Come and enjoy the camaraderie of Alumni and Actives. Specific times and location will be posted on the website in the near future and included in the March e-letter. The "Jeff Peffer Memorial Golf Outing" will be held on the weekend of May 29-31. Jeff (Class of '78) recently passed away and is remembered by many of our active alumni. There will be golf on Friday afternoon and Saturday and a steak cookout and awards presentation at the House on Saturday evening. We hope to increase attendance this year, so plan to attend and gather your friends and other alumni to participate too. If you want to book a room at the Days Inn (1-800-258-3297) for $104/night, use Group Code CGPSK1. We hope to see many of you at both events! Get excited for spring in Happy Valley!